I love the Sunday just before Christmas. I love that everyone is dressed in their holiday Sunday best (normally red, green, navy blue, or black), all the smiles, the music, and the excitement as Christmas day arrives! 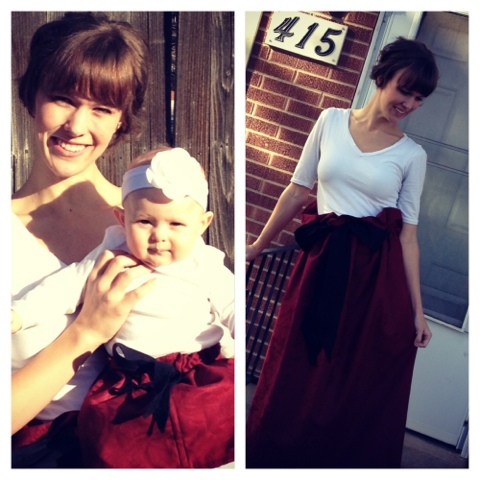 This Sunday was especially great because Chelsea and I were matchy matchy in our Christmas Sunday best! Take a look! LOVED making these because they were SO quick and easy! I'll be posting a tutorial soon! Like, this week soon. And then, of course, there are the wonderful lessons taught about the Savior, Jesus Christ. The reason for the season. We had a particularly special lesson in Young Women today. We watched a video of the nativity with the song, "Breath of Heaven" playing in the background. It was beautiful and I had a few thoughts that I hadn't before. Joseph and Mary were searching for a place to stay and possibly deliver their baby while in Bethlehem and all that was available to them was a stable. Once Andrew and I graduated from BYU-I, I found myself in what I thought was a similar situation. I was in a brand new world that was both beautiful and a little scary. Andrew and I were pregnant, homeless, and jobless. It's a scary position to be placed in. Luckily, Andrew and I had family that was willing to house us. 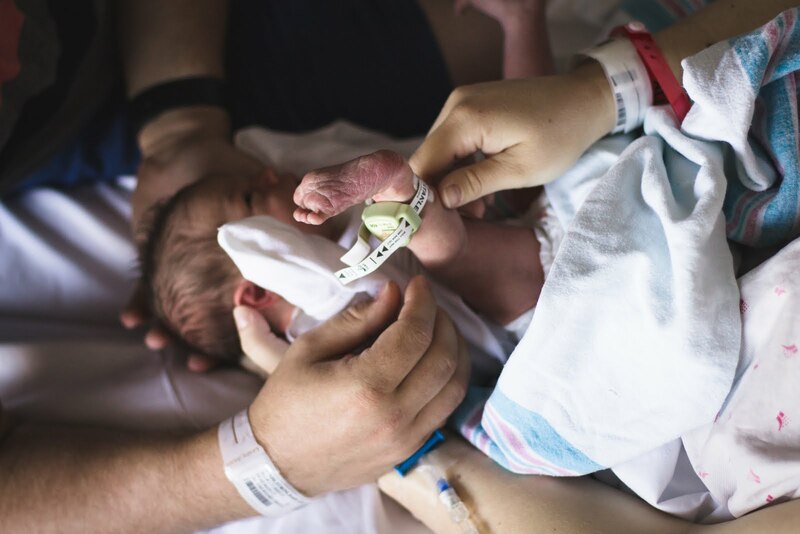 It wasn't ideal for me (every mother dreams of bringing their brand new baby to their new home, whereas I was bringing my baby to a basement with two cousins), but I admit, MUCH better than a stable. I feel that in some small way I can relate to Joseph and Mary, not having a home to bring their baby to. Not to mention that they were living with a couple of sheep. But what I was really struck by was their reaction to the situation. Sure, they were disappointed and I'm sure that tears were shed by Mary, but they knew that they were bringing the Son of God to the world and that somehow everything would work out. Christmas is a beautiful time of year, full of joy and giving. This year, I would like to think about what I am going to give to Him this year. Growing up, my family hung our stockings above the chimney (that we never lit), just like every other kid all over America. But along with our red, blue, purple, pink, mustard, and puke-colored stockings, there was one more stocking that hung by the chimney with care. At the top of this stocking was written the name, "Jesus." This was our very special stocking. No, not because the best candy or toys came in this stocking, but because this was the stocking that each of us gave to. Nothing tangible, really, but letters. In these letters, my siblings and I made promises to Jesus of service and self-improvement. Sometimes they were just pictures because we were just kids, but we always gave something to our Savior. From that young age, I understood that Jesus was my Savior and gave me the greatest gift of all. I learned that He loved me and that I needed to thank Him for His love by serving Him. This is a tradition I plan on continuing with my family. Christmas is a special time of year because it is the time of year that we celebrate the birth of the most special person of all. Our Savior, Jesus Christ. I know that Jesus Christ was born to save us all. I know that He did atone for our sins so that we could be made perfect in Him. We can not return to Heaven without this atonement. I am grateful that He was willing to do this for me. I know that He loves me and I know that He loves you. If you don't know this already, I encourage you to find out.